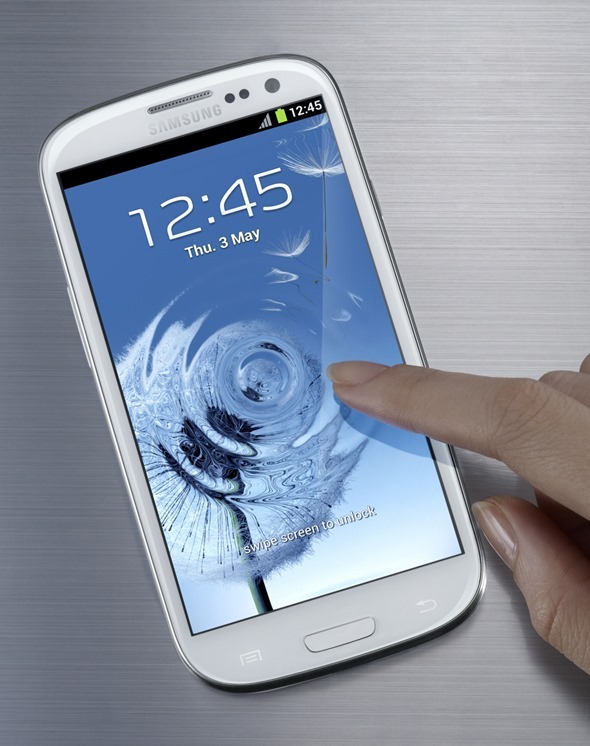 If you’re in ownership of a Galaxy S III, it’s probable that you’ve had it for quite a while now. With the next wave of Androids having landed with the likes of the HTC One and the S III’s just-released successor, it’ll perhaps also be feeling a little on the slow side, particularly if some of your friends are early adopters of the latest and greatest devices. If you don’t feel as though your S III is as smooth as its should be on certain occasions, we’ve got a quick tip on how you can try and speed things up. More details after the break! Now, the Galaxy S III is, generally speaking, a pretty slick device, and with Android Jelly Bean supported for all variants, it has the advantage of Google’s heavily-lauded war on lag, described charmingly as ‘Project Butter’. Having said that, it does seem to freeze-frame momentarily when performing certain actions, such as navigating between messages in the stock Messaging app, but with a couple of adjustments to your settings, you could well find your device running as smoothly as it ever has done. Below, we’ve put together a short tutorial on how you may be able to achieve this slight bump in speed. Of course, results may vary, and although this worked well on the Redmond Pie Galaxy S III, you must understand that you may not notice as great an improvement on your own device. The steps are very simple, so if you have a couple of minutes, check out the steps outlined below and you too could walk away with a less stuttery Galaxy S III. Step 1: First and foremost, you will need to open the native Settings menu. 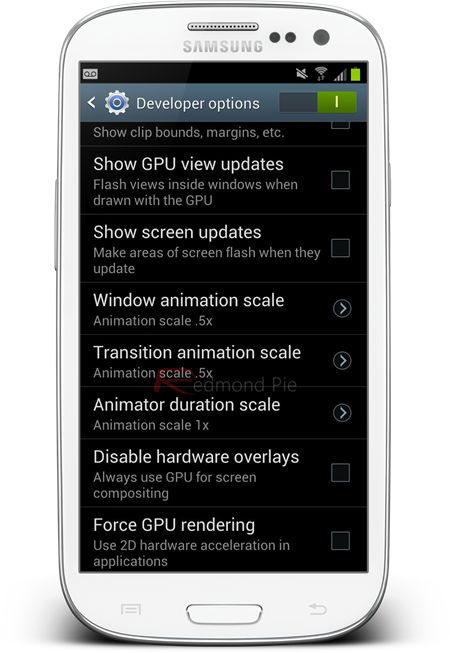 Step 2: Next, you will need to navigate through to Developer Options, and change both Window Animation Scale and Transition Animation Scale‘s values to around 0.5x. Step 3: Profit! Your device’s animations should be noticeably punchier than ever before. Of course, the scholars among you will have noticed that this doesn’t actually speed up your device, operating much like the iOS Speed Intensifier tweak to simply reduce transitions between animations.